The last two matches in the Ladies Over 60s League have been played with Peel Sunset capitalising on two low scores by title rivals, and current champions, Port St Mary A. On Thursday 13th September Port St Mary A lost ground at the top of the league against their B team. Restricted to under 100 chalks with the B team picking up two big wins to single figures, the A team won the match 96-78 (4-2). Peel Sunset travelled away to South Ramsey and edged a close encounter winning 96-109 (3-3). The 13 chalk margin over Port St Mary A increased their advantage on Thursday to 93 chalks. Marown sat out from Thursday allowing Onchan and Nobles to catch up and hunt down third position. Onchan defeated Ballaugh 111-77 (4-2) whilst Nobles beat Mooragh Park A 102-97 (3-3). The result left Marown over 100 chalks clear and ties up third position for the Crosby outfit. Nobles and Onchan remain separated by 7 chalks with Tuesdays matches crucial to finalising their positions. In the other results on Thursday Mooragh Park B lost to Castletown 101-109 (3-3); Breagle lost to Villa 88-92 (3-3) and Douglas A won 115-90 (4-2) against Port Erin. Onto Tuesday 18th September and the final matches for nearly all of the league teams with the exception of Port St Mary A and Douglas who play their re-arranged match later in the week. Marown who had already secured third beat Breagle 112-80 (4-2). In the race for fourth Onchan put in a fine away performance to defeat Villa 74-122 (1-5). Nobles weren’t to be outdone and in their match away to Ballaugh won 62-121 (2-4). The result places Nobles in fourth 6 chalks ahead of Onchan. Castletown finish sixth after beating South Ramsey 103-85 (4-2) and Port St Mary B finish seventh after their win against Mooragh Park B 105-73 (5-1). Back to the race for the title. Mooragh Park A took on Port St Mary A with the away side needing to keep up the pace set by Peel. In a low scoring match, which saw two games won to nil, Port St Mary were restricted to scoring 89 chalks with the match ending 84-89 (3-3). Peel Sunset did all that they could to take the title down to the wire and put in another strong home performance defeating Douglas 116-89 (5-1). An incredible season, which has seen Peel and Port St Mary swap and change at the top, will go down to the very last match of the year. Peel have built a 120 chalk lead and have one hand firmly on the title. Port St Mary are still Champions however and will not give up without a fight. Thursdays match at home to Douglas will see 126 points up for grabs and a chance to win the league for a fifth consecutive year. 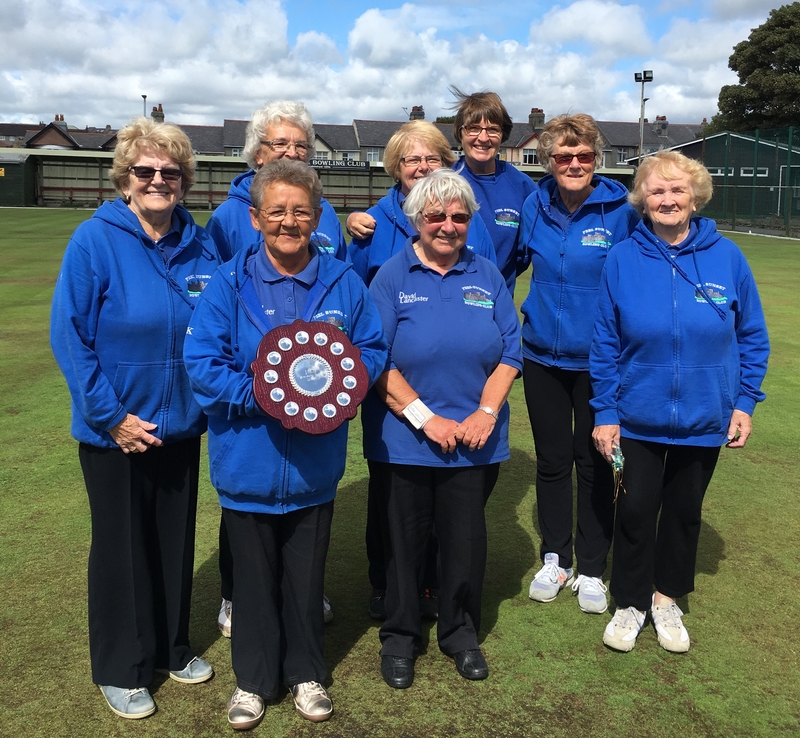 Janet Monk has won the individual merit in her first over 60s season. Elaine Moore and Mary Moffatt currently sit second and third with Margaret Tasker able to claim either of those positions depending on her final game.